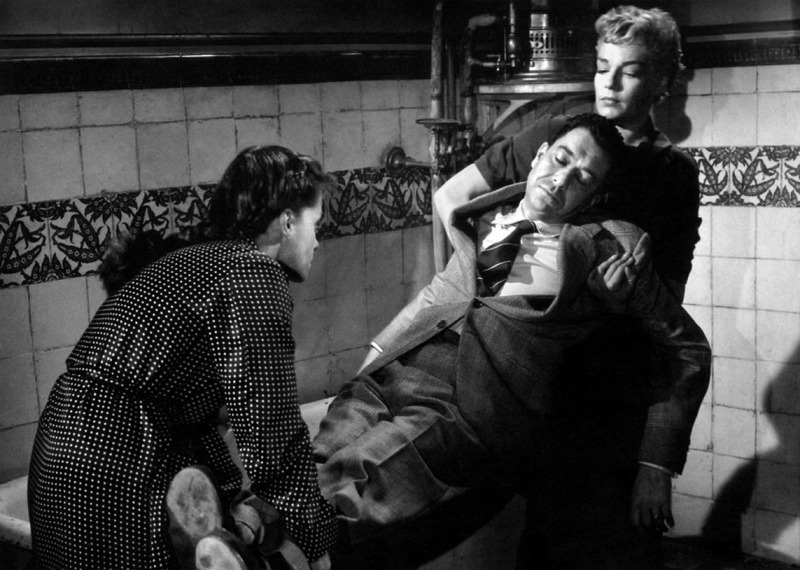 Les Diaboliques Review (1955). ‘The Greatest Film Hitchcock Never Made’… – Stigmatophilia's gore splattered corner of insanity. 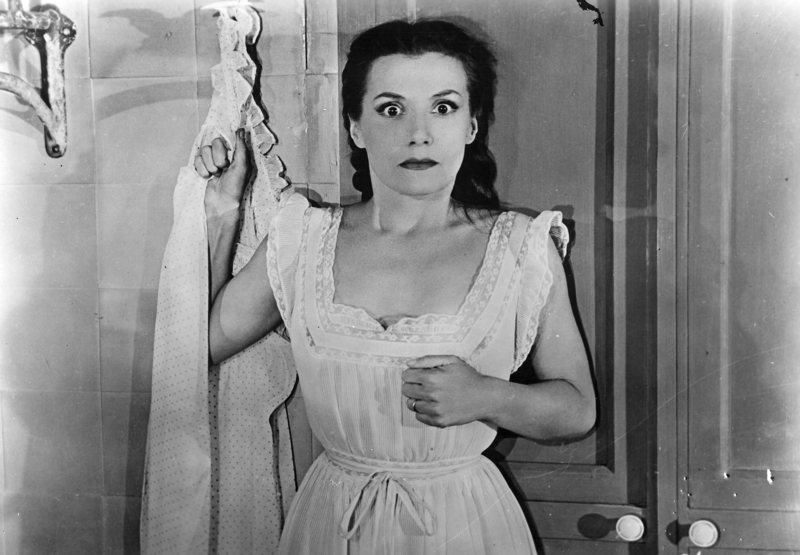 Les Diaboliques by H G Clouzot has often been referred to as the ‘greatest film that Hitchcock never made’, which more fittingly should be ‘almost made’ had he not been pipped to the post by this French director for the rights from the novel by Boileau and Narcejac. So impressed was Hitchcock however that he bought up a later work by the authors of Vertigo and the link does not end there, for Robert Bloch who orginally wrote Psycho is on record saying that Les Diaboliques is his all time favourite horror film. Clouzot was often referred to as the French Hitchcock and there are some obvious stylistic and trope comparisons between the respective directors work. 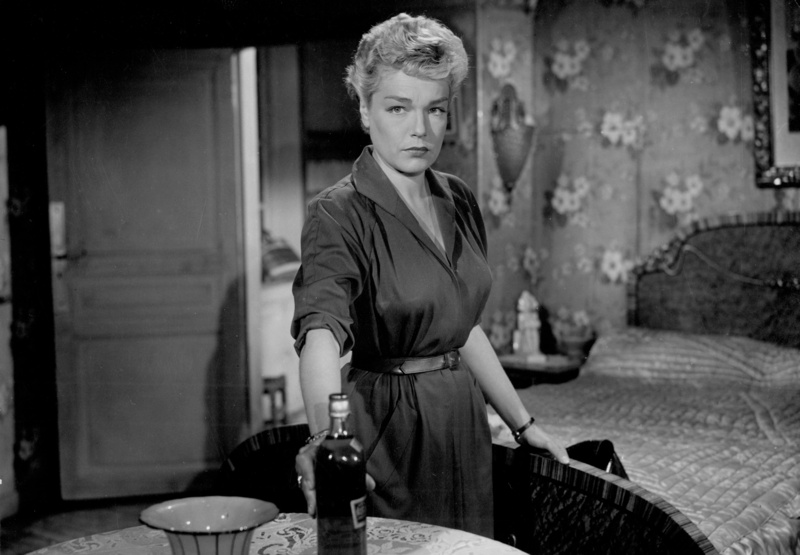 However it has been pointed out, by French film scholar Ginette Vincendean’s analysis in her introduction to Les Diaboliques (on the Arrow release), that Clouzot’s work was distinctly more grim, dark, and lacked the glamour of Hitchcock, instead chosing to show the cold dark aspects of human nature in an unflinching and sometimes very pessimistic way. This can be said for Les Diaboliques being a very dark film, which seeps dread and pessimism from every pore, with little sympathy for the protagonists involved. So much has been said and written already about this film that I fear I am going to be retracing old ground, but this is just testament to how remarkable it is as a true piece of perfection in noir cinema as writers and theorists continue to retread the film analysing every millisecond. The director warns at the end of the film ‘don’t be diabolical’ in a warning not to give the ending away, so I am not going to do this which makes it even more difficult to write about. But once watched it will become a question of if this film is really horror or not, it certainly touts supernatural elements, but all will become apparent. Whatever the answer it is a taut, psychological and tension filled display and Clouzot builds to his slow building and mindbending climax. In a story which tracks more twists and turns than the most nauseating rollercoaster we begin at a boarding school for boys, run down and unruly, governed by a sadistic headmaster Michel Delassalle (Paul Meurisse). His sickly wife Christina (played by director’s wife Vera Clouzot) has a heart condition which is only made worse by her husband’s abusive behaviour and the fact his lover Nicole (Simone Signoret) also lives and teaches at the school. Christina Is outwardly accepting of her situation but it seems that the two women are both fed up of Michel’s nasty and despicable behaviour and they plot to lure him away from the school and murder him. All is not so simple however and after killing him and returning to the school to dispose of his body it seems to have disappeared, and so begins this strange web of murder, intrigue and suspense. Clouzet came under criticism for casting his wife Vera in the main role of Christina, it was thought her acting capabilities did not hold up against the rest of this sturdy cast, however on a personal note I felt she holds her own just fine, as the frail and weak abused wife. She is the only character who invokes any sympathy from the cast that is one thing that is for sure. It is interesting how Clouzot manages to contrast the two leading ladies Christina in gingham and braids, very reminscent of Dorothy in The Wizard of Oz, perhaps more browbeaten than wide-eyed, but the way he choses to style the character is interesting. This is in direct opposition to Simone as Nicole the husband’s lover who is harsh, chain smoking, peroxide blonde, and physically bigger build and more powerful than her counterpart. Yet these two very different women form a relationship which is complex and intriguing, with subtle hints of perhaps lesbianism (the original novel was about a lesbian couple) which could have been a direct nod from the director. The dynamic between the two is exceptional as the power play between them bounces back and forth throughout the film. Another interesting point which comes up on the blu-ray commentary by Susan Hayward is that Clouzot chose to highlight his wife’s face in many of the scenes with lighting, while Nicole appears in grey tones. While this has been another criticism (there is also the case that Vera inhabits more single face shots than her co star Simone) I felt it fitted the characters with lighting choices alluding to the characters respective natures, Nicole being the obviously more hard-hearted and darker of the two. One thing is for sure Simone Signoret steals the show in her portrayal of this cold and manipulative killer Nicole, a woman of great talent who incidentally went on to become the first French actress to win an Academy award, and continued to win acclaim throughout her career. For the husband we have Paul Meurisse who was a well established theatre actor at the time. He just oozes vileness in his role as a sadistic, penny pinching and philandering husband, he is despicable in every sense of the word, and brilliantly cast. The headmaster who makes his boarders and own wife eat rotten fish for tea, takes up lovers in full view of everyone, rapes and beats his own wife, no one is sorry to see the back of him. This uncaring attitude to the running of the school is seen in the supporting roles of the teachers who are more worried about whether the headmaster will return to water down their wine than having any real concern for anyone other than themselves. A small but significant role was given to Charles Vanel as the retired cop turned private eye a choice which Ginette Vincendean highlights as confusing French audiences at the time, as he was usually a lead actor of some standing, however as with everything in Les Diaboliques not all is at is seems and all becomes apparent by the end. One thing I did feel about Vanel’s portrayal of this nosy cop Fichet is his mannerisms and the way he goes about his investigation appear to have been direct influence for Peter Falk’s character Columbo, the shabby raincoat, soggy cigar, the way in which he appears muddled but gets to the truth in the end. On researching for this review I came across a review by Roger Ebert which made the same assertions but nothing to confirm if this was the case or not. 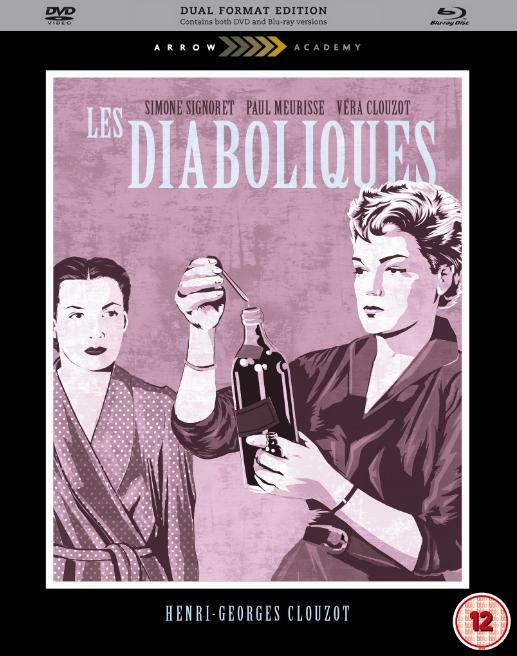 Stylistically Les Diaboliques is precision Noir cinema at its very best, the use of sound, light and shots which follow the gaze of others is perfect in producing the correct tension levels throughout. It is important to note that Clouzot uses no music throughout the film apart from the ominous and thundering score at the opening, and most of the terror is conveyed through the use of every day objects such as the creak of a door hinge, the tapping of a typewriter, the drip of a tap. It is a slow building horror, which takes its time to develop however I found I was so absorbed in the twisted dynamics of the different characters that I hardly noticed it takes almost an hour to reach the murder scene. There is so much more I could say about this movie such is the intricate nature of the piece. On each view I find more to discover about it, little nuances I might have missed before, that it only improves even when the full story becomes apparent after the first view, which stands as testament to the perfection of this movie. A compelling and terrifying character study of the darker side of human nature with all the ugly facets on full view, greed, lust, manipulation, it is one film you do not want to miss, a forerunner and brilliant piece of Noir cinema. Five films in the Public Domain you really need to see… | Stigmatophilia's gore splattered corner of insanity.